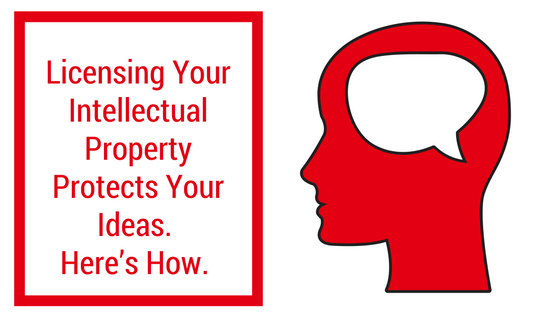 Licensing Your Intellectual Property Protects Your Ideas. Here’s How. If you have created intellectual property (IP), knowledge about correct licensing practices is crucial to prevent other people from copying your ideas unlawfully. By licensing your intellectual property to someone else, in accordance with intellectual property law in Australia, you can control how they use your ideas. There is no statutory (written law) definition of each type of licence. The definitions of each licence are based on interpretations of past issues and, because of this, are determined on a case-by-case basis. It is important to know what each licence involves, in order to apply the correct one to your situation. Below are the generally accepted definitions and usages of each licence. Generally, a sole licence allows the creator of the IP (you) and whomever you give this licence to to be the only people allowed to use that IP. That means, you are not allowed to let anyone else use that specific IP. Generally, an exclusive licence means that whomever you give the licence to will be the only person allowed to use your IP. That means even you, the creator of the IP, may not be allowed to use the IP. If a third party infringes the IP while you have exclusively licensed the IP to someone else, the person with the exclusive licence is allowed to start court proceedings without your permission. Generally, a non-exclusive licence allows the creator of the IP (you) to licence your IP to an unlimited number of third parties and to still have the right to use your own IP. Digital security is a hot topic in the news right now. From celebrities to nation states, everybody has data they’d like to keep private. For software providers, that means having up-to-date security measures. In Australia, software providers need to adhere to the Australian Consumer Law (ACL), which applies to all suppliers of goods and services to customers in Australia. Australian law requires businesses to secure the personal information of their clients and customers. Businesses must also protect this information from being lost, misused, or given away. • is delivered with appropriate care and adequate skill. Remember that some requirements of the ACL are binding no matter what. These requirements are known as ‘guarantees’. You can read more about them here. As with “reasonableness”, the ACL is quite broad in the definition of ‘fit for purpose’. Earlier this month, the government released a draft of the Privacy Amendment (Notification of Serious Data Breaches) Bill 2015 (the Bill) for public comment. If the Bill is passed without major changes, it will have a significant impact on businesses in Australia. The Bill will apply to any businesses or agencies already subject to the Privacy Act 1998 (Cth). Examples of “serious harm” include financial loss or identity theft, and more broadly, physical, psychological and emotional harm. Breaches are not just limited to theft or ‘hacking' – the concept includes internal errors that cause accidental loss of an individual’s personal information. If there is reasonable belief that a serious data breach has occurred, businesses would be required to notify both the Commissioner and each affected individual - using whatever customer communication tools they normally use. If it is not practical to contact every individual, the business must take reasonable steps to publicise the notification – including on social media, on the business’ website or through print media. If a business fails to notify the affected individuals of a serious data breach – the business will be subject to the penalties outlined in the Privacy Act. The Commissioner can investigate the issue and direct the business to notify the affected individuals. The current drafting allows businesses to seek a review of the Commissioner’s directions in the Administrative Appeals Tribunal. The Federal Government has announced its plan to spend almost $1.1 billion over the next four years as part of a new "innovation package". 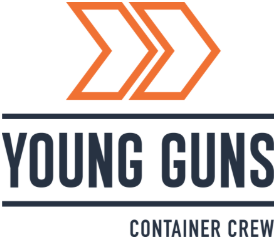 The package aims to promote a significant increase in business-based development and growth Australia-wide. Industry Minister Christopher Pyne has stated that the bulk of the innovation package will come into effect from July 2016. The most relevant initiatives for existing businesses, investors and start-ups are identified below. The period of bankruptcy will be reduced from three years to one year. Insolvency laws will be wound back in recognition of the fact that most entrepreneurs fail several times before they succeed. Companies in difficulty will be able to call a business adviser to help restructure their business, without being subject to insolvency laws. Existing contracts will remain in place when a company goes into voluntary administration. Company directors will not be personally liable for insolvent trading if they appoint a restructuring adviser. zero capital gains tax if the investment is held for more than three years. For example, if an investor invests $200,000 and claims the offset, they will reduce their taxable income by $40,000. If the investor sells his or her shares three years later, the initial $200,000 will be exempt from capital gains tax. The government will also provide funding to help Australian entrepreneurs travel to booming technology hubs like Silicon Valley and Tel Aviv. The ‘innovation package’ is likely to have a significantly positive impact on business development and growth in Australia. The holder of a patent over an invention has the right to exclude third parties from exploiting that invention. While patents are granted by the government, it is the patent holder’s responsibility to enforce its patent against other parties. not previously used in secret. “Manner of Manufacture” is the legal language used by the courts in Australia to describe an invention that results from human activity. In other words, an invention cannot also be called a natural phenomenon. The discovery of a particular biological cell process or law of physics, for instance, would not satisfy this requirement. An invention must also be “novel”, that is, not publicly disclosed anywhere in the world before the date of the patent application. Disclosure refers to any public release of the invention (for instance, selling the invention) or statements made about the invention in a public forum. While Australian law provides for “grace periods”, it is advisable to file a patent application before any kind of disclosure. the innovative patent, which requires an “innovative step”. On 12 March 2014, the new Australian Privacy Principles (APPs) will come into force and replace the National Privacy Principles (NPPs). The Office of the Australian Information Commissioner recently released a document that summarises the most significant differences between the old NPPs and the new APPs. This post will describe some of the biggest changes highlighted by that document. it is impracticable for the organisation to deal with someone using a pseudonym. The NPPs required organisations to inform individuals when they were collecting personal information, however, more information is now required during the notification. If an organisation is likely to disclose personal information to overseas recipients, APP 5 requires organisations to notify individuals about the countries in which the recipients are likely to be located. On 4 April 2013, the Office of the Australian Information Commissioner (OAIC) released the consultation draft of guidelines entitled “Mobile Privacy: A Better Practice Guide for Mobile App Developers” (Draft Guidelines). The Draft Guidelines set out the OIAC’s (draft) view on best practices for app developers in relation to privacy law. When the Draft Guidelines are finalised, they will be an important insight into the standards that the OAIC will bring to handling privacy complaints about mobile apps. The Draft Guidelines cover familiar ground about scope, that is: personal information is any information that identifies a person or could be used to identify a person. This includes obvious categories of information like names and addresses, but reaches as far as information like IP addresses, unique identifiers and dates of birth from which someone’s identity can be reasonably ascertained. In the Draft Guidelines, the OAIC advocates an approach where privacy issues are considered at the very earliest stages of development. The OAIC suggests that app developers author a “privacy impact assessment , which is a description of how personal inforrmation is used by an app, and how its use affects the privacy of individuals. The "Internet Corporation for Assigned Names and Numbers" (ICANN) is the not for profit organisation (based in the United States) that is responsible for regulating domain names. "Top Level Domains" (TLDs) are the letters to the right of the full stop in a domain name. This includes generic TLDs (gTLDs) such as “com”, “org”, and “net” and country code TLDs such as “au”, “nz” and “uk”. There are currently twenty-two gTLDs. "Second Level Domains" (SLD) refer to anything left of the TLD. As an example, in the domain name “techlawyer.com”, “techlawyer” is the SLD. “Registrar” is an organisation accredited by ICANN to register a SLD under a gTLD (Registrar). Since 2005, ICAAN has been planning a process to release hundreds of additional gTLDs. Approximately 1,200 new gTLDs are expected to be introduced through the approvals process. In April 2013, ICAAN began to release approval notifications. In the first batch of approvals, amongst others, ".casino", ".bank", ".charity", ".melbourne" and ".food" have been approved. No date has been annouced for the ability to purchase SLDs from Registrars in association with the gTLDs, but certain commentators have suggested it will be around August 2013. When you upload data to an online service, there is almost always a clause that deals with intellectual property rights over the data that you're uploading. Services often use wording about users "retaining ownership of content", but it's important to note that retaining ownership is cold comfort if you give a service the right to do almost anything it wants to do with the data. The issue of intellectual property rights in data that you upload is important in a number of contexts. If you run an online service, you need to consider what rights are appropriate to take over data uploaded to your service. If you use an online service in conjunction with valuable intellectual property, you should check the terms, lest you sign away broad licences over valuable data. It's also the principle of the thing. It's quite a shock to know how wide a licence many services take over the content that you store with them - especially when it's personal data (Read: Facebook, or rather, their Terms). Github and BitBucket are a good case study on this point. Software developers use these services to collaborate on code, which in many cases, has incredibly valuable intellectual property rights associated with it. The Federal Parliament passed major changes to Australian privacy law on 28 November 2012. The regime affects every business that collects "Personal Information", which is defined by the Privacy Act 1988 (Cth) as any information that identifies a person or could be used to identify a person (‘Personal Information’). It is highly likely that your business is collecting such information. The changes to the law will come into force in March 2014. This article will cover the most important changes. The new laws grant the Privacy Commissioner major new powers to take the initiative with investigations and audits to ensure compliance with privacy law. The Commissioner's new powers are bolstered by the ability to impose fines of up to $1.1 million on corporations that do not comply with the law. When the new laws come into force, the "Australian Privacy Principles" ('APPs') will replace the current "National Privacy Principles". The APPs will bring into force a number of new principles, the most important of which are summarised below. If a business receives Personal Information that it does not solicit, it has a reasonable period to decide if it could have collected that information on its own behalf under the APPs. If the business decides that it could not have collected the information itself, it must make the information anonymous or destroy it.